Carleen McIlveen, founder of Imagine By Carleen, Inc., came to entrepreneurship from a long career in corporate America out of the desire to do something to help people. McIlveen was a successful marketing executive when the Great Recession hit. "I thought it was a good time to try something new," she said. "I had a Mary Kay makeup kit on my shelf and decided to do that while I figured out what I really wanted to do but that opportunity just grew legs. I moved quickly in the field getting multiple certifications and my business grew. I kept needing to rent larger spaces and now I'm set to purchase property for the business." McIlveen has diversified significantly since picking up the Mary Kay cosmetics bag off her shelf. She now employs six independent contractors who are helping her transition from a more traditional therapeutic day spa into a wellness spa. "We focus on helping our clients get to the root cause of what brought them to us in first place," she said. "Often it is stress or diet related and we can help them manage these things. We help people find and enhance their best beautiful self." McIlveen finds much fulfillment in helping people solve the issues that caused them to visit her in the first place and has found that approach is a clear differentiator for her business. "Our overall philosophy is what differentiates us," she said. "When someone comes in for facial, they don't receive just a luxurious, relaxing experience like with most spas. My goal is to help them leave with improvement in their overall well being. 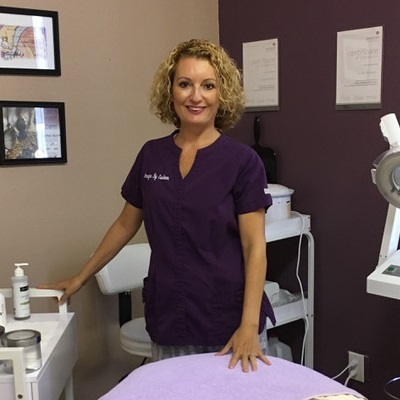 Usually they're coming in for a facial because there is something about their skin that is bothering them and we provide a holistic overview of what is going on with each client so they can solve the problem that brought them to us. McIlveen's advice to aspiring entrepreneurs is to stick to your guns and plan how you will fund the startup. "If it's truly your calling, don't let anything stop you," she said. "Plan the start with more forethought in terms of being able to have some capital behind you because that can make or break you if you don't know how to manage money."